John Davis, owner John’s Quality Automotive, Inc has over 25 years plus of automotive repair experience, is an ASE Master Certified mechanic providing quality auto repair services for Largo, Seminole, Clearwater & Pinellas County. His shop specializes in Toyota and Honda, but work on all makes and models of vehicles. No job is too small or too large for John’s Quality Automotive. With a firm belief in fair, honest work, John’s Quality Auto Repair will never recommend to replace parts or recommend repairs that are not absolutely needed for your car. In business over 15 years in Pinellas County, I can look your car over and find out the real story of what do need and what can wait. If it really needs to be fixed, I will tell you exactly how much for parts and labor and I usually can get the job done very fast. I also guarantee my work for 12 months. So come on by and check out the best auto repair shop in Largo. If you Call and I don’t answer, leave a message. I’m probably under a car at the moment, but I promise I’ll get right back to you within a few minutes or so. 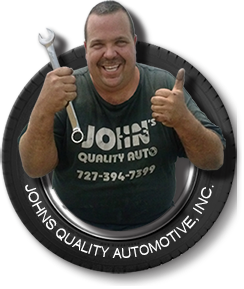 I have known John at John’s Quality Auto for 16 year. He has worked on every car I have owned in these past 16 years, everything from oil changes, to brakes, used car evaluations, to rebuilding the engine in my Mitsubishi Eclipse. John actually recommended I not do the rebuild the top end of my engine as I would never get my money back out of it. I trust a mechanic when they try to talk you out of a repair that is not in your best interest. It was my wife’s car, she loved it so it was rebuilt. There was a small oil leak 6 months after which was unrelated to the rebuild but John took care of it for only the cost of parts which was more than kind. I know John on a personal level as well. He is an honest, trustworthy, fun loving, good friend who I trust implicitly. I work on my own cars for many things, but when it comes to critical systems I take my cars to John because I know the job will be done right and on time. 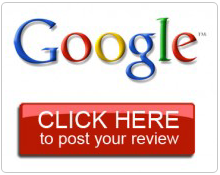 Hello, my name is John Toleikis and I’d like to share my experience with you regarding John’s Quality Auto repair. I’ve recently had my car door repaired at this shop and Im happy to say it hasn’t needed anything since. The service was professional and courteous and the job was done at a fraction of the cost that was estimated at other local shops. The mechanic fixed the door only and didn’t spend his time telling me how many other repairs were needed. Another time I pulled into his shop with a leaking radiator.It was a busy day I could tell but the owner had other jobs to do. I was on my way to a family function and needed to be there that afternoon. He pulled my old radiator and had me up and running by the afternoon in time to be there. Independent shops are the best and I will continue to give them my business whether I’m driving old or new cars. This business creates a a positive reflection on the business of auto repair. I’ve been having my vehicles serviced through John’s Quality Auto since I met him in November 2007 because treats my cars like they’re his own. John operates with integrity and frequently communicates with you throughout the service, always delivering as promised. There’s something to be said about feeling good about taking your car to your mechanic knowing that you won’t be taken for a ride, literally. For example, a few months ago I took my beloved Riviera to a chain auto shop for new tires and walked out with an estimate over $2,300 in recommended services. The very next day I took it to John and he looked at my car and assured me that it was mechanically sound, all at no charge. Overall, I cannot say enough positive things about my many experiences with John’s Quality Auto, which is why I followed when he moved his shop to a new location. I’ve recommended three or four friends and colleagues to John’s Quality Auto and they all now refer to John as their mechanic too. The quality of the work is exceptional in every area and the price is always right. I recommend you take the opportunity to experience a transparent and honest auto service first hand, then you too will understand why quality is in the name. Beyond his auto services, John is a great person and to have both in the industry is very rare. John has been servicing my cars for years. He knows what he is doing, always treats me fairly, and I trust him completely. I never hesitate to recommend John’s Quality Auto for reliable maintenance and repairs. Over 20 yrs ago while driving on a very busy road in Pinellas I heard that dreaded noise no driver wants to hear. A flat tire in an unfamiliar vehicle l, dress in suit and tie, this was not looking like a good day. I pull into a lot not really knowing the area as I had just moved here. Out came a mountain of a man, he found the spare, installed it in less than 5 mins. When I asked how much, his reply was come back when you need real repairs. I found my mechanic that day. My family grew knowing issues of any kind with vehicles Call John, that is if you want honest answers and a repair done right. John is not just our car repair guy now, we consider him to be one of best friend. I have lived in Pinellas county for 15 years and have been going to “Big John” for 10 years now. He has serviced all of my vehicles and has done major and minor repairs. He has always been fair on price and honest on service. I find a great comfort in knowing a mechanic that is dependable, reliable and fair. I would and do recommend him to everyone. John has been repairing my car for many years. He is very dependable and trustworthy. I have always been happy with his work. I would recommend John for any auto repairs. John is an excellent mechanic! He has repaired my car many times. I have always had good results. He is very honest. I will always take my car to him for repairs and suggest him to others. I have known John for many years and he is as great a mechanic as he is in life. I couldn’t recommend a better place to bring your vehicle. Honest and dependable.